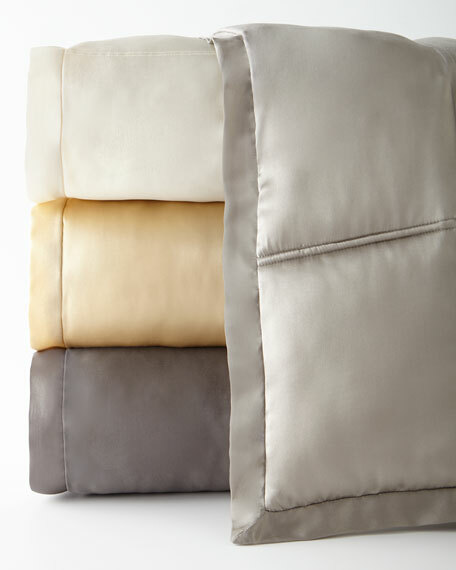 Box-quilted silk charmeuse front; cotton back. 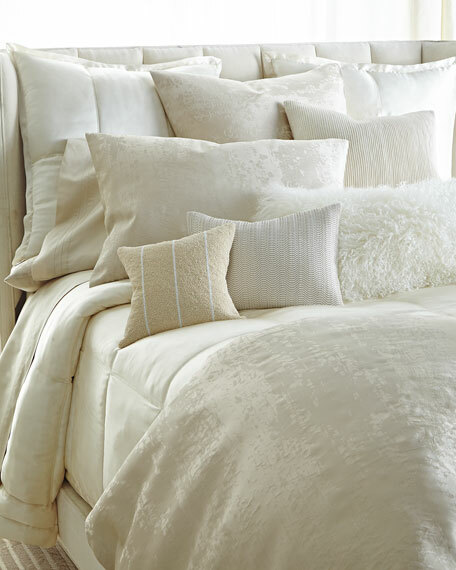 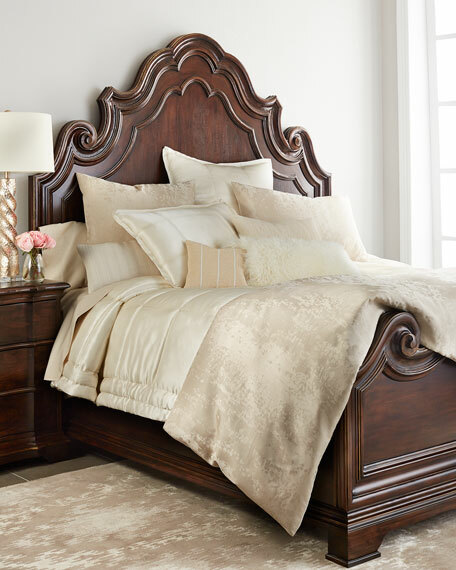 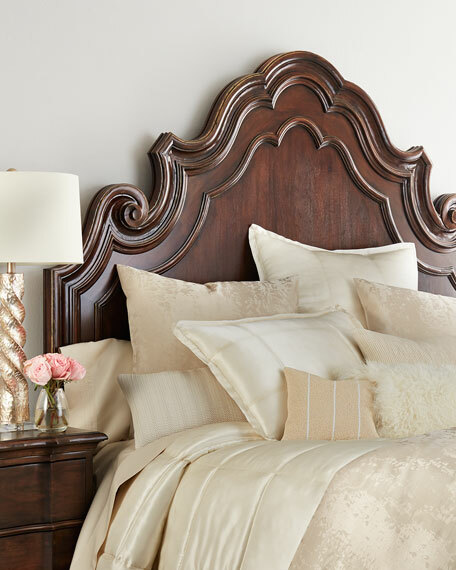 Box-quilted silk charmeuse with subtle tufted border. 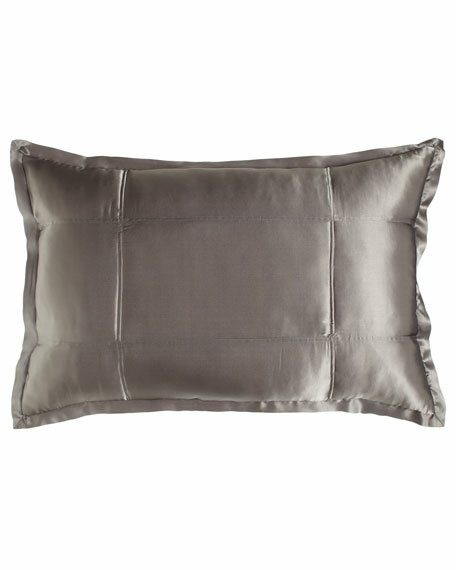 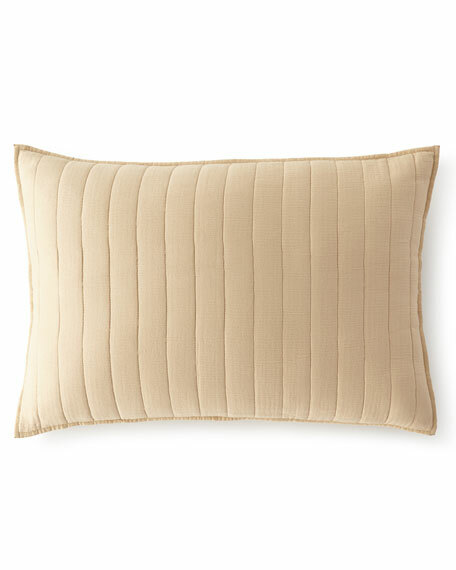 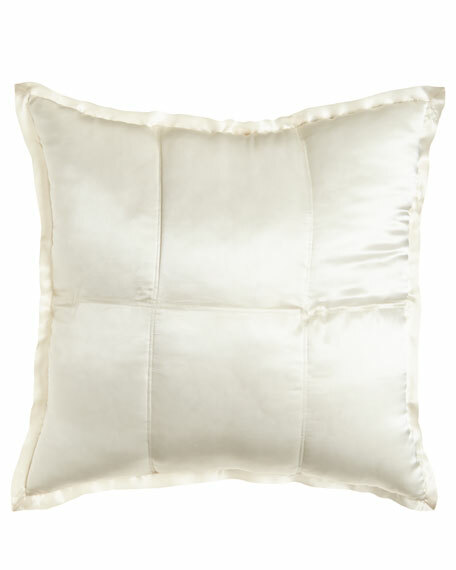 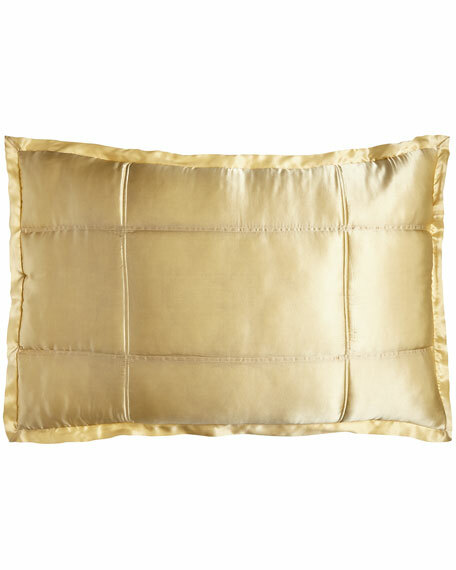 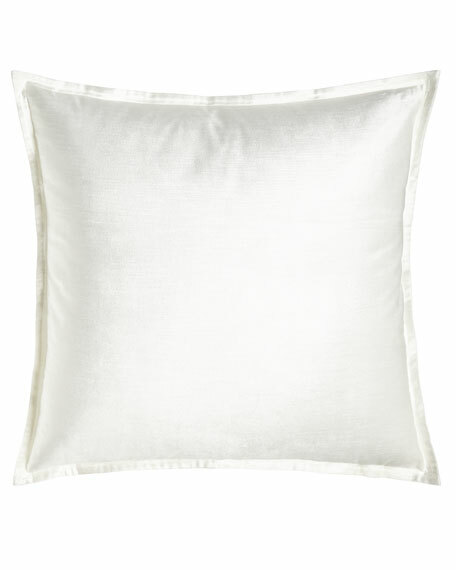 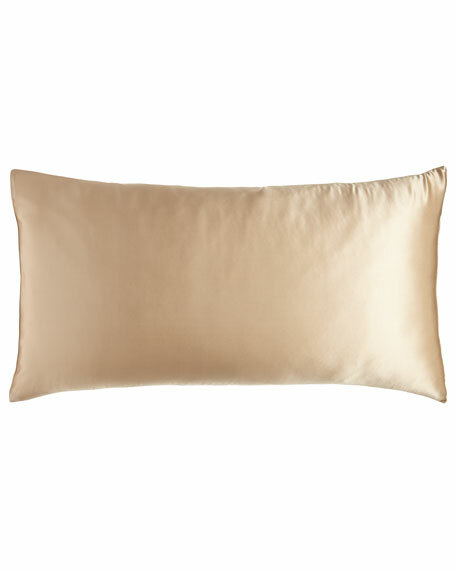 Donna Karan Home Moonscape Faux-Leather Pillow, 12" x 16"
Faux-leather pillow has a woven wave pattern. 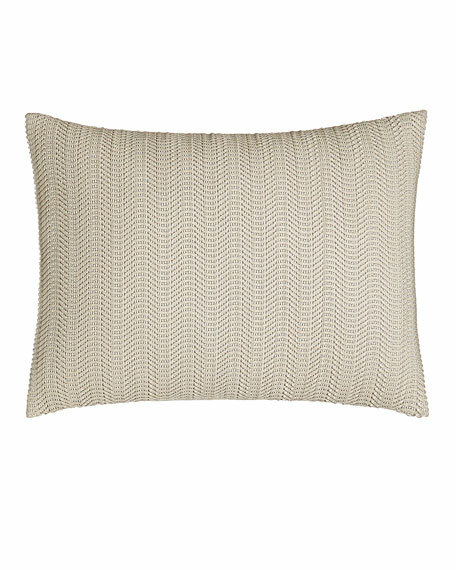 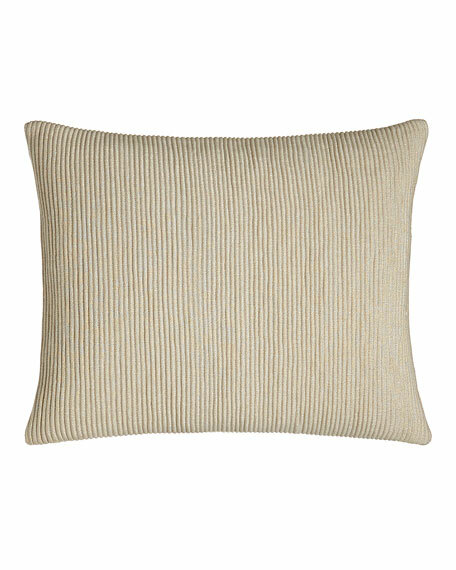 Donna Karan Home Moonscape Corded Pillow, 16" x 20"
Moonscape Bead Stripe Pillow, 12"Sq. 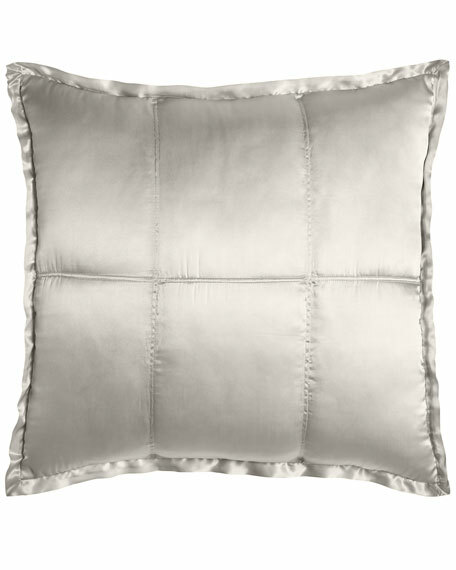 Textured cotton sham.Subtle metallic accents.26"Sq.Machine wash.Imported.